During the administration of an estate in Tennessee, the decedent’s last will and testament, if there is one, will be submitted into probate. An objection to the validity of the will is known as a will contest, and it may be brought by someone with legal standing. In a November 22, 2017, Tennessee estate planning case, the issue before the Supreme Court of Tennessee was whether five of the decedent’s children, who were disinherited in two wills executed by the decedent, had the standing to bring a will contest. The trial court dismissed the action for lack of standing, and the Court of Appeals affirmed. The matter was then appealed to the Supreme Court of Tennessee. The 2013 Will submitted into probate disinherited five of the decedent’s seven children. Multiple prior wills also disinherited some or all of those five. 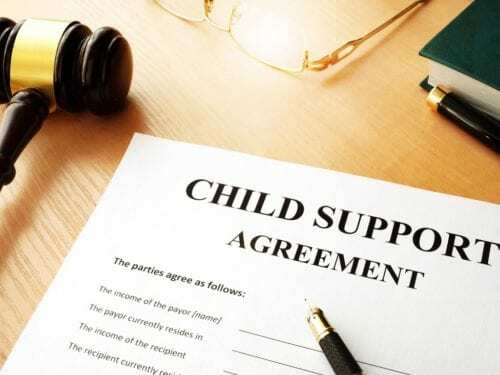 The disinherited children brought a will contest, alleging that the 2013 Will was invalid due to improper execution or attestation, lack of testamentary capacity, and fraud or undue influence. In Tennessee, standing is a threshold issue in a will contest, and a contestant must show that he or she would be entitled to share in the decedent’s estate if the will were set aside, or if no will existed. On appeal, the court noted that the contestants would clearly have standing if only the 2013 Will were at issue. The question, however, was whether the contestants lacked standing because the 2013 Will and preceding wills disinherited them, based on the holdings of Tennessee cases Cowan v. Walker and Jennings v. Bridgeford. The Supreme Court analyzed the cases and concluded that in both Cowan and Jennings, the validity of the wills had already been judicially established either by admission and uncontroverted evidence, as in Cowan, or by a final judgment in a prior will contest, as in Jennings. The court explained that the two cases only established that, if the validity of a will had already been established, a disinherited person attempting to challenge it lacks standing. In the present case, there had been no determination regarding the validity of any of the decedent’s wills. The court, therefore, found that the two prior cases did not control the outcome of the present matter. The court went on to explain that there was no bright-line rule prohibiting litigants who had been disinherited in successive wills from challenging the validity of a will. Despite the difficulty of mounting a successful will contest, due to the multiple prior wills disinheriting the contestants in the case, they do not have to establish a likelihood of success on the merits to establish standing. The court thus remanded the matter back to the trial court for adjudication of the will contest. The estate litigation team at Martin Heller Potempa & Sheppard handles probate disputes, will contests, and other challenges in estate administration. Our Nashville estate planning attorneys can also assist in drafting wills, establishing trusts, and advising you of tax consequences as you prepare for the settlement of your own estate. To arrange an appointment with one of our estate professionals, call (615) 800-7096 or contact us online. Juries almost always get it right.